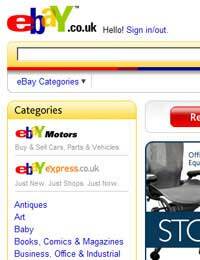 Home > Ask Our Experts > Are Tickets Valid on ebay? Q.I recently put in a bid on ebay for a theatre ticket. The seller subsequently withdrew the ticket, stating that she had received an email from the theatre company saying that if the ticket was resold on ebay, the buyer would be refused entry. Is this true? How does the theatre know who the original buyer was? It is very likely that the seller is telling the truth. The dramatic rise in the resale of popular theatre tickets by unscrupulous touts – prompted by the growth of ticket vending websites and online auction sites such as eBay - has become a major source of irritation for theatre managers, particularly in the performing arts hotspots of London’s West End and the Royal Shakespeare Company (RSC). With the law not currently fighting on their side (it is actually still legal to resell theatre tickets), some have been forced to implement their own measures to stamp out black market ticket sales. But, as you say, how can they do this? Without following the Glastonbury festival’s lead and introducing unique I.D. tickets then how can the theatre know whether a ticket being presented at the door has been previously resold or not? One tactic employed recently matches the experience you have related. The RSC has taken a stance by emailing eBay users reselling tickets to their shows and demanding they stop the auctions. If the seller agrees to remove the tickets from sale and return them, then the RSC will either refund the ticket price or swap them for another performance. If the seller ignores the warnings then the company may cancel the tickets. If the row and seat number are listed on the auction page then it is relatively simple to pinpoint the ‘black’ tickets and cancel them. However, if they are not, then besides pleading to the scruples of the sellers there is not a lot else the theatre can do. With eBay activity for RSC tickets still healthy, there are clearly still many out there that pride profit over conscience. The seller, of course, is safe in the knowledge that eBay doesn’t see any wrong in what they are doing, they are masked by username anonymity and if the theatre does decide to cancel the tickets then it is the buyer and not them that will lose out. So ultimately in the vulnerable position as ‘buyer’, you should take some comfort in the fact that the seller heeded the warnings of the theatre and pulled the sale. A more crooked seller could have ignored warnings and proceeded with the sale regardless, knowing all too well that they would still have reaped their profits. You might then have turned up at the theatre only to watch in horror as your tickets are torn up in front of your eyes by the theatre manager!